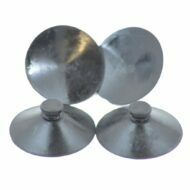 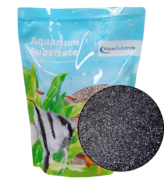 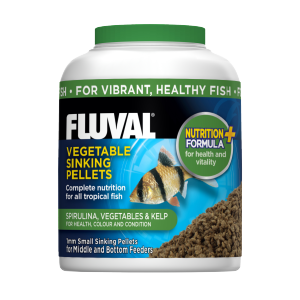 Fluval Vegetable Pellets is a highly nutritious fish food containing spirulina, four types of vegetables, and kelp that is specifically formulated to support the overall well-being of fish. Spirulina is a highly beneficial ingredient that provides a rich source of color-enhancing natural pigments, proteins and trace elements that combine to help keep fish active and vibrant-looking. 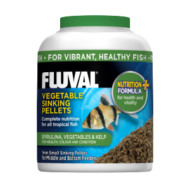 In addition, almost all fish–whether they are herbivores, carnivores or omnivores– will benefit from the rich variety of vegetables in this food.